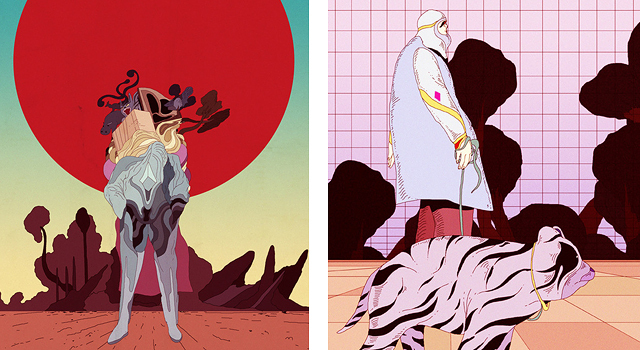 I recently came across the work of Kilian Eng, an illustrator based in Stockholm. His striking illustrations combine 80s cartoon style, classic science fiction imagery, and fantastical anime worlds (Hayao Miyazaki’s Spirited Away comes to mind). 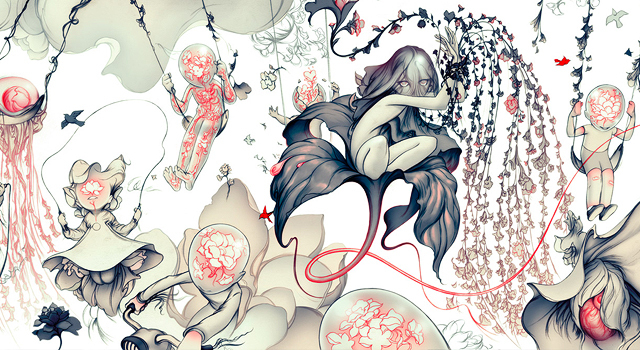 James Jean is a giant in the world of illustration, and one of my favorite artists. He won scores of awards for his comic book art (he created stunning covers for Fables, my favorite current series) and received wide acclaim for his work with Prada.